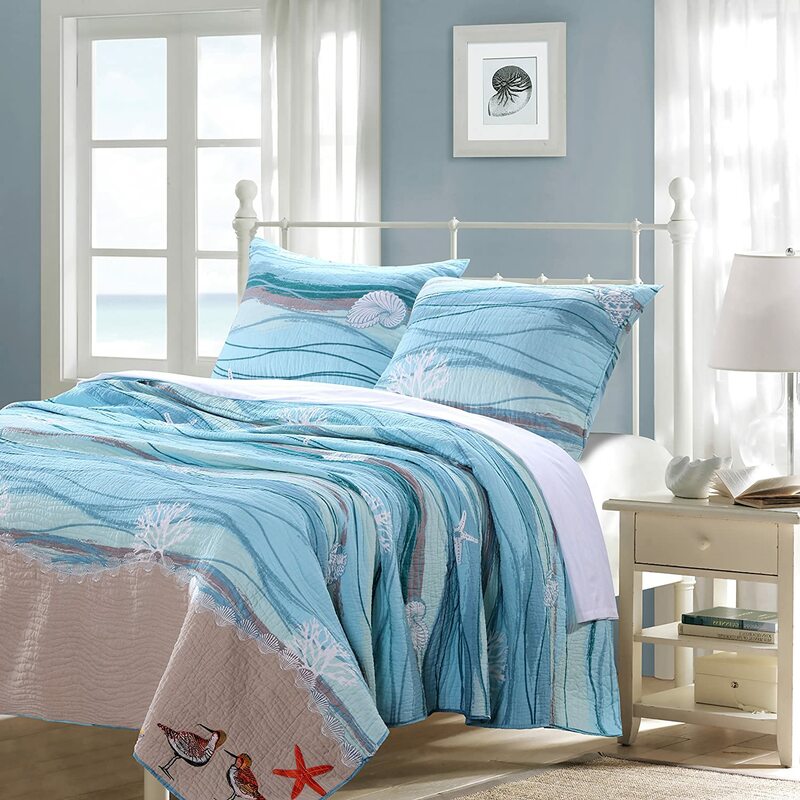 If you’re looking for Beach Comforters for your Bedroom, then you will find here many for Sale. 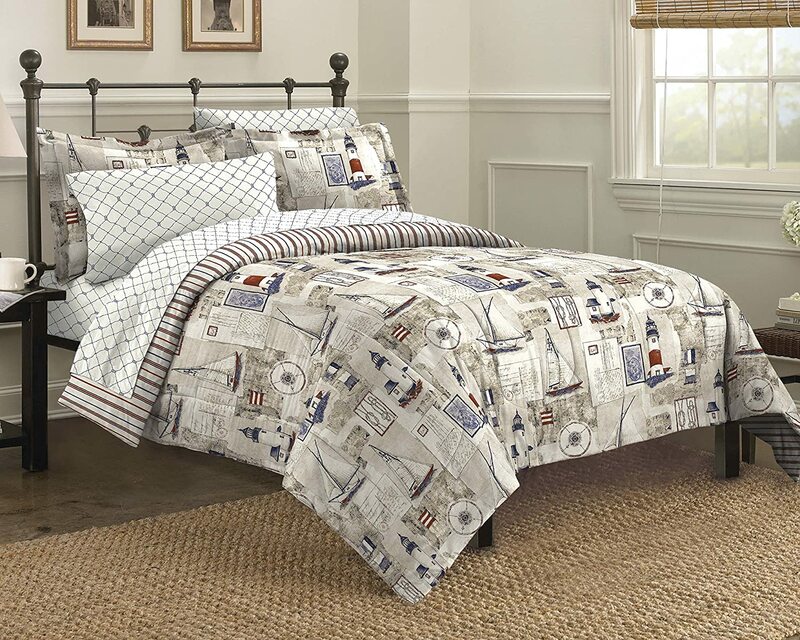 Ease Bedding Online Site has many options sure to satisfy pickiest Shopper. Building a comfortable bed for your family and get the night’s rest you’ll need for long days at work or in class! Our sets are simple and casual design. They can transform a room from bleak to bright and cheery in a matter of minutes, will have your bedroom decorated with coastal style. 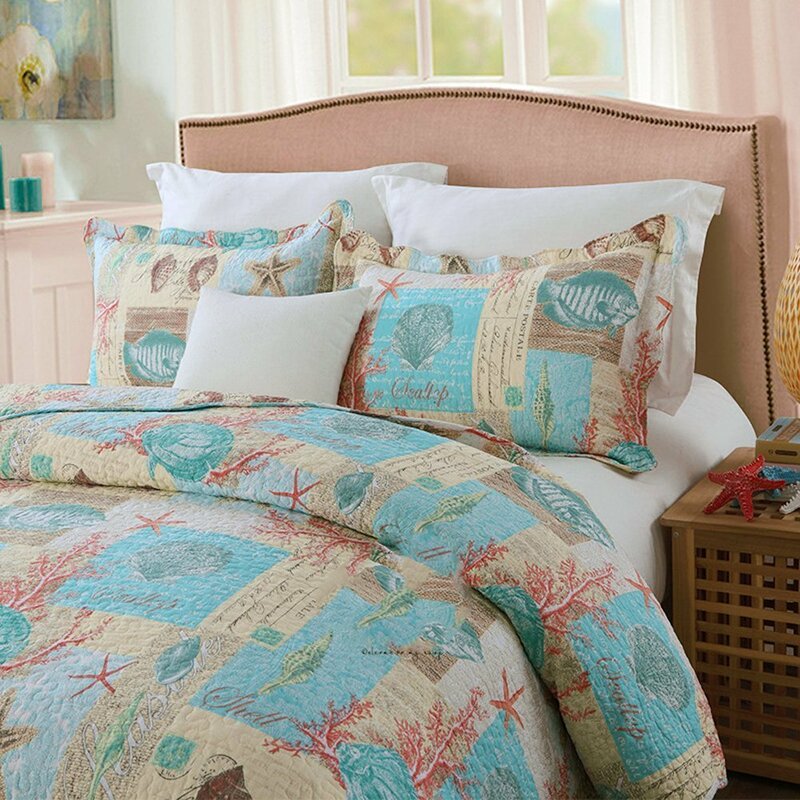 Turn your room into a haven with seashell coastal-themed collection. From its creation, Triangle Home Fashions has focused on three core values: design, quality and innovation. Since that time, it has grown and evolved into a home textiles company that values and nurtures its relationships with its customers. We are challenged every day is to design and develop the best in home textiles, offering unique fabrics with incredible detailed surface treatments so our customers always feel that what they are buying is on trend, long lasting and most importantly a great value. Soft, 100% cotton quilt with a polyester fill – perfectly weighted, all season quilt. 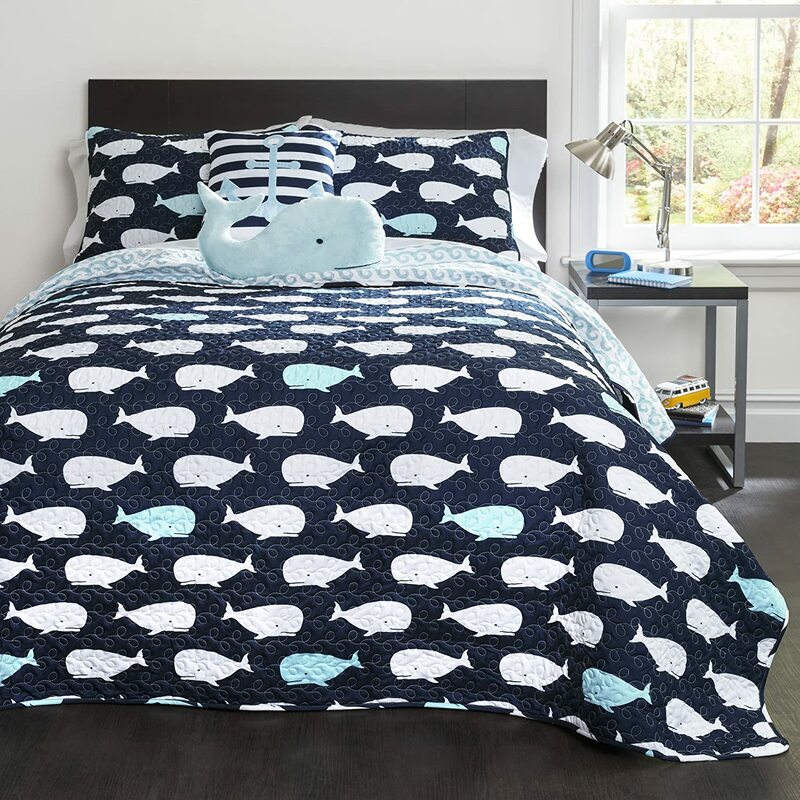 Bright and unique with fish, reef and colorful ocean floor pattern quilt and a subtle blue and white wave pattern on the reverse side. 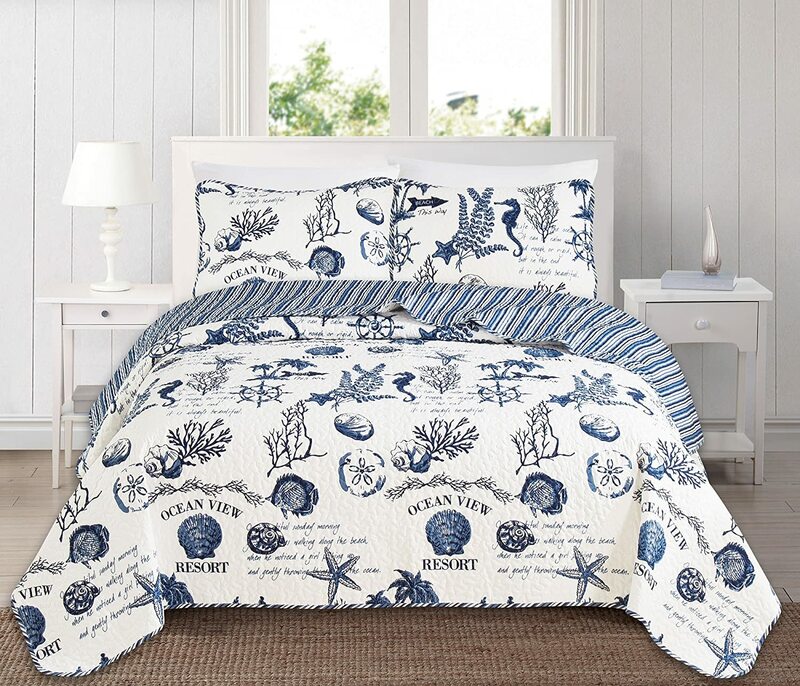 You can create a relaxing seaside retreat in your Bedroom with the Deep Sea mini comforter set! Neutral-hued taupe mingles well with Gray and complements any accent color or bedroom decor. It is perfect for your guest room or any bedroom. 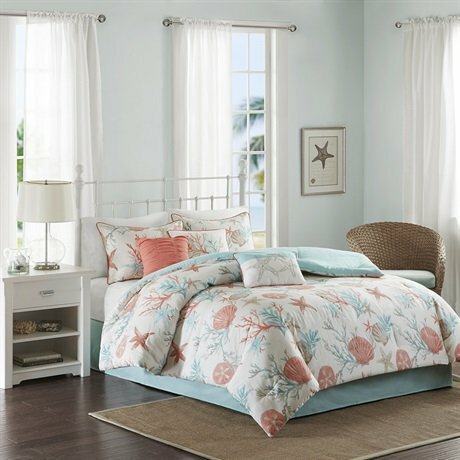 The ocean themed comforter and shams feature an allover print of dark taupe seashells, seahorses, starfish and coral, on a white ground. MATERIAL: 100% Cotton. 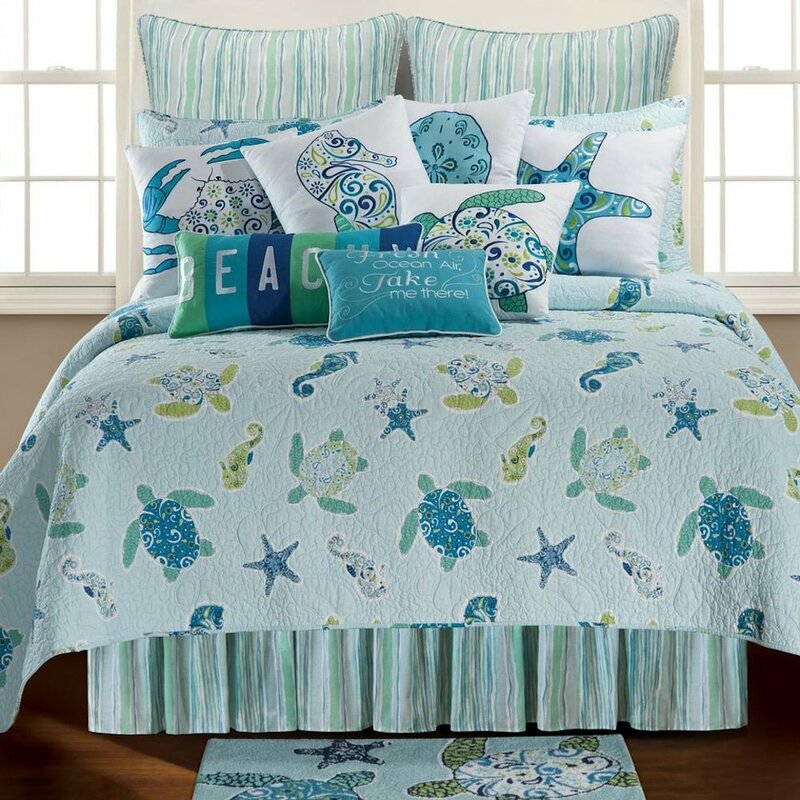 Our quilted coverlet set ocean themed designs are fresh, vibrant, multi-colored and vivid, offering you a luxurious, warm and soft sleeping experience for year-round use. FEATURES: Bedspread quilt sets is ultra soft, wrinkle resistant fabric that is more breathable in reverse part and provide long lasting. DESIGN: You can use quilt set when you lounge around in the living room or watching TV or taking a nap on the couch. A great experience for relaxation. 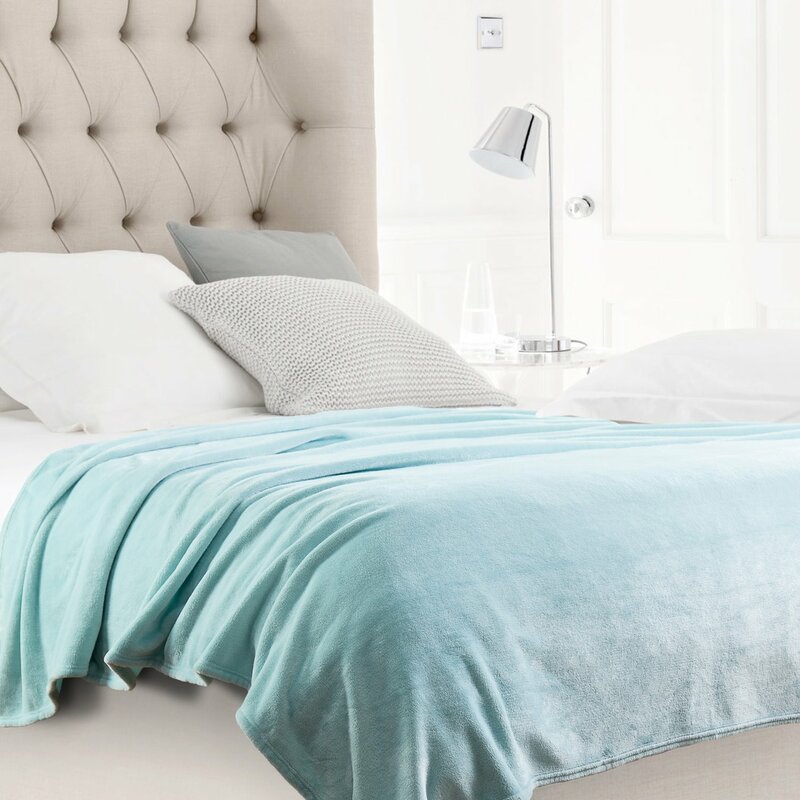 MULTI-PURPOSE: Lovely addition to any sleeping space – Ideal for warmer climates – Perfect for the spring, summer & autumn seasons – Layer underneath with a comforter for the ultimate warmth during the colder seasons. EASY CARE: Machine wash cold. Wash separately. Gentle Cycle. Tumble dry low. DO NOT BLEACH, IRON or DRY CLEAN! When you wash the quilt set, soaking time should not to be too long. 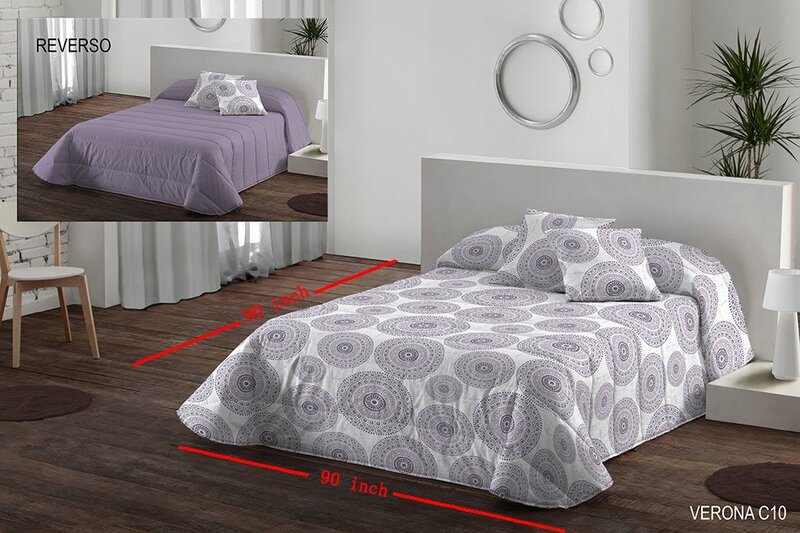 Queen Size Set Includes: Quilt 90″ x 90″, 2 Pillow cases 20″ x 26″.The colour look like purple sea fog. We use avirulent & environmental protection dyeing, without AZO or Formaldehyde, maximum won’t be erased, no special smell. Customers, who bought this product are very happy with it and most of the Reviews are good! Anybody can use it and it has all reviews for five stars until now dated 2016-06-03. Décor your bedroom with this beautiful and exclusive tapestry from the house of SheetKart. This attractive and alluring wall hanging will decorate the ceilings and walls of your home like never before. 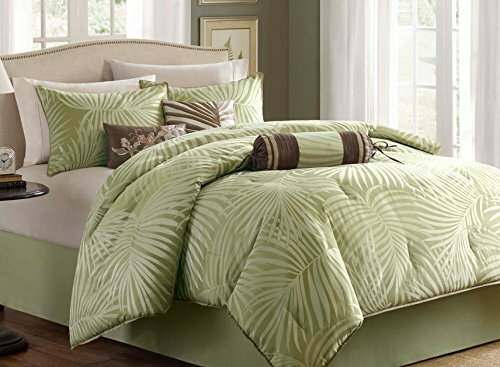 GH Beach Theme Ocean Coastal Quilt King/Cal King Bedding Set – Nautical Seashell Beach Tropical Decor – All Season 3 Pieces Bedspread/Coverlet with Shams Green – Includes Bed Sheet Straps. Ready for a more relaxing bedroom space? 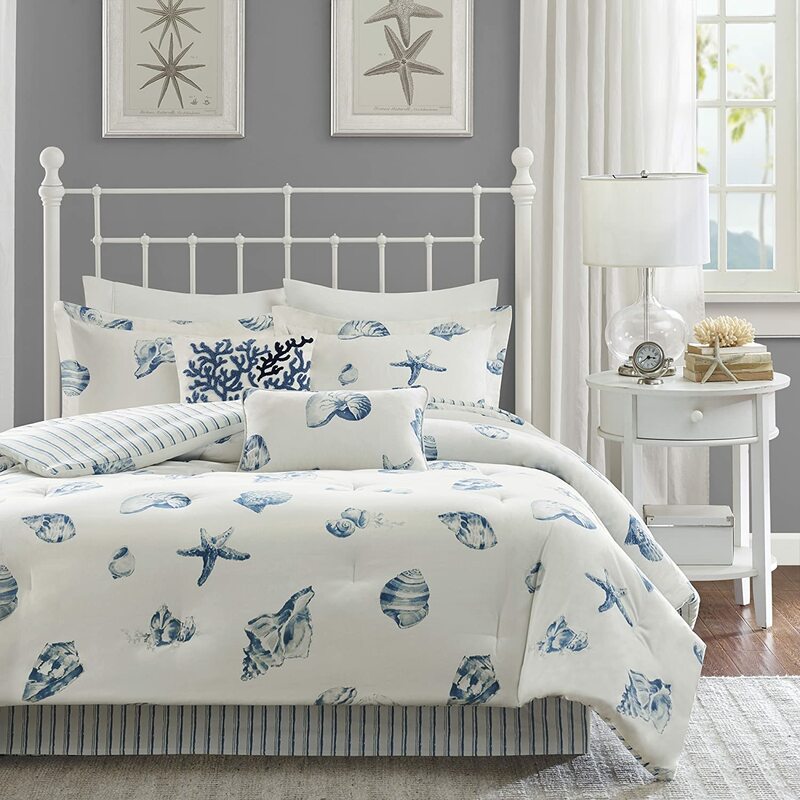 This serene comforter set features seashells from the seashore, in neutral tones that are soothing and versatile as well. 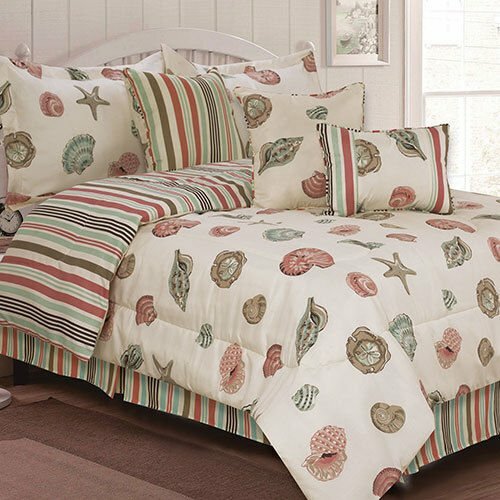 Starfish, seashells and Coral are colorfully printed onto 200 thread count cotton with a sand colored base. Colors ante perfect for both genders. 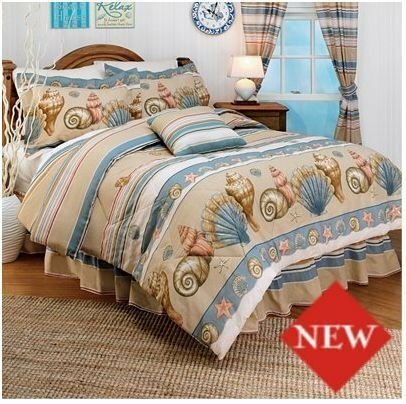 This serene Comforter Set features seashells from the seashore, in neutral tones, which are soothing and versatile. 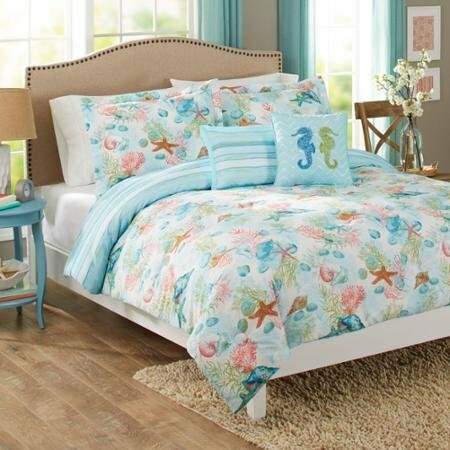 Comforter and flanged shams feature seashells and starfish on a sandy background, so Teen Boys and Teen Girls love this Bedding Set. One Queen Size Comforter, Two- Shams and One- Bedskirt only. 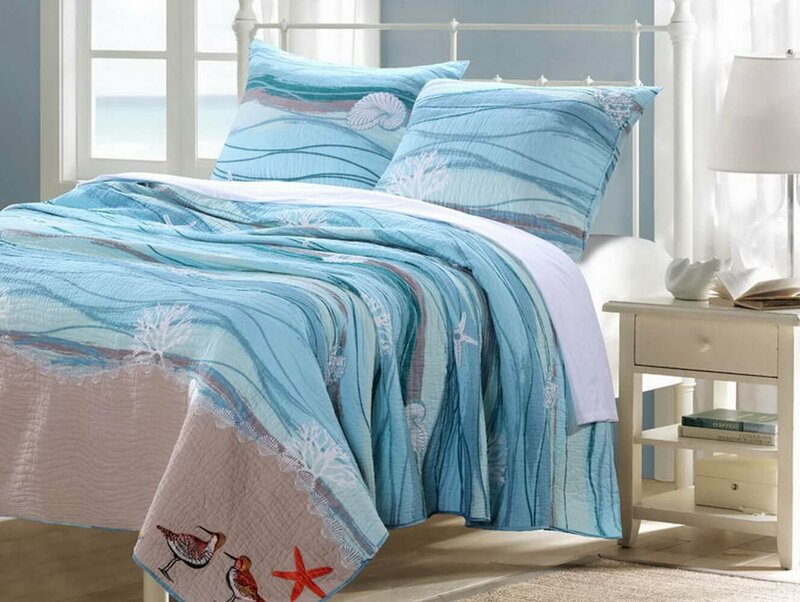 YOUSA Beach Theme Quilts 100% Cotton Comforter Shells Quilt Set is so beautiful and has really good Customer Reviews. 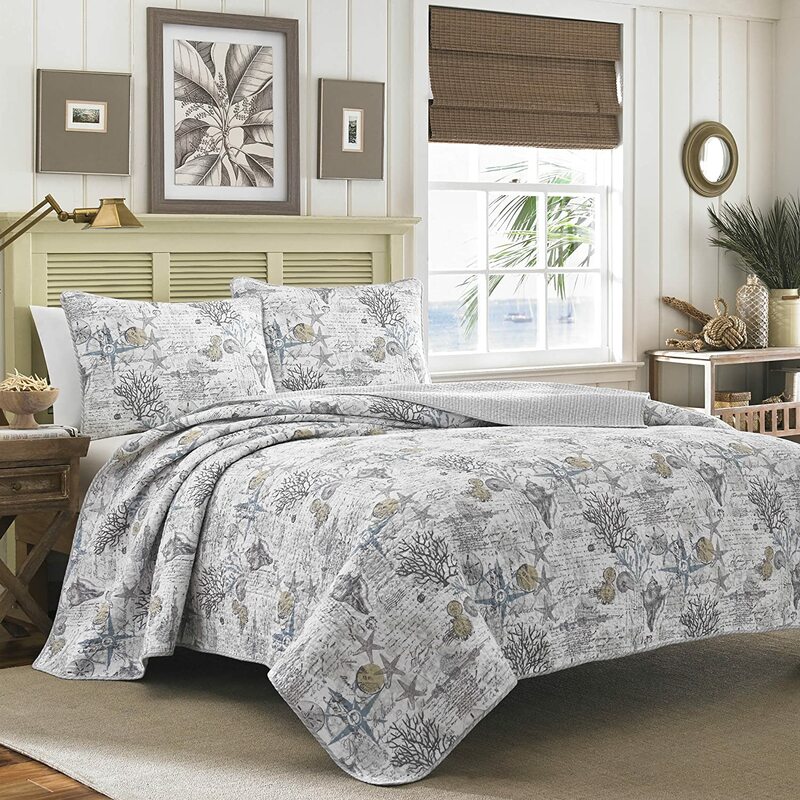 Add a touch of whimsy to your bedroom or guest room with the Catalina Collection 3-Piece Quilt Set. 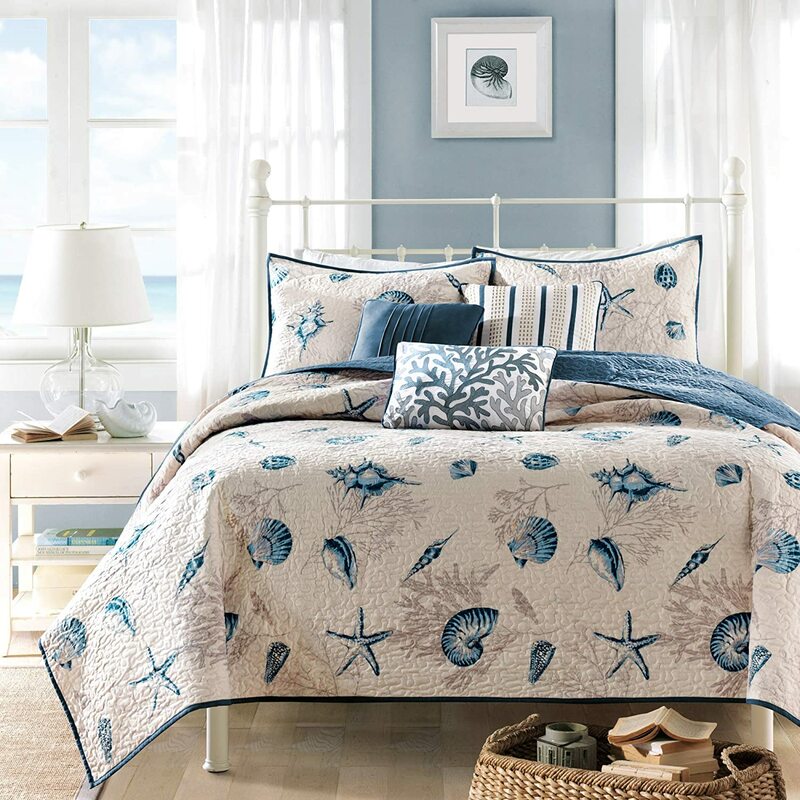 Images of underwater creatures and seaside beauty worked in a blue- and-white color scheme give this quilt- and-shams ensemble a flair that can match any bedroom’s decor. Wrap up in the quilt’s soft, lightweight warmth anytime of the year, and keep your bedroom looking neat and attractive with the bright shams. The Catalina Collection also makes a great gift for weddings, birthdays, holidays and more. 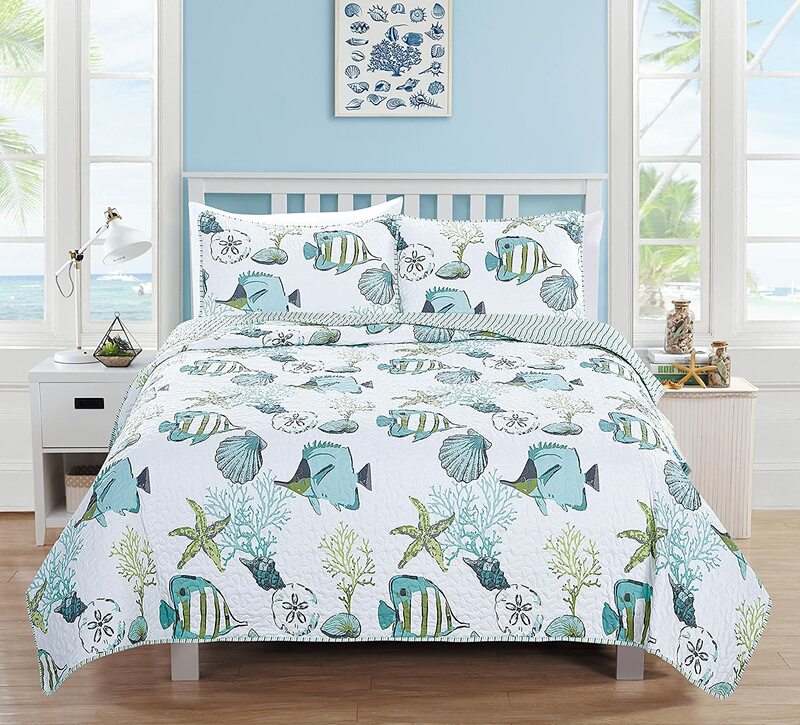 Alicemall Ocean Theme Bed in a Bag Blue Shell and Starfish Print White Comforter Set 100% Cotton Bedspread/ Quilt Set, 3 Pieces, Queen/King Size (Blue & White.